Taoiseach Leo Varadkar has dismissed the theory that a hard border exists around Dublin. Since becoming Taoiseach in June 2017, Brexit has been a constant issue for Varadkar with constant uncertainty on whether there will be a border between the Republic of Ireland and Northern Ireland, tariffs and the affect on several businesses and industries who rely exporting to Britain. Clare’s longest serving councillor, PJ Kelly is of the view that rural Ireland been left behind in the two years of Varadkar’s Government. “It has been totally abandoned, there is a hard border around Dublin,” he told The Clare Echo. 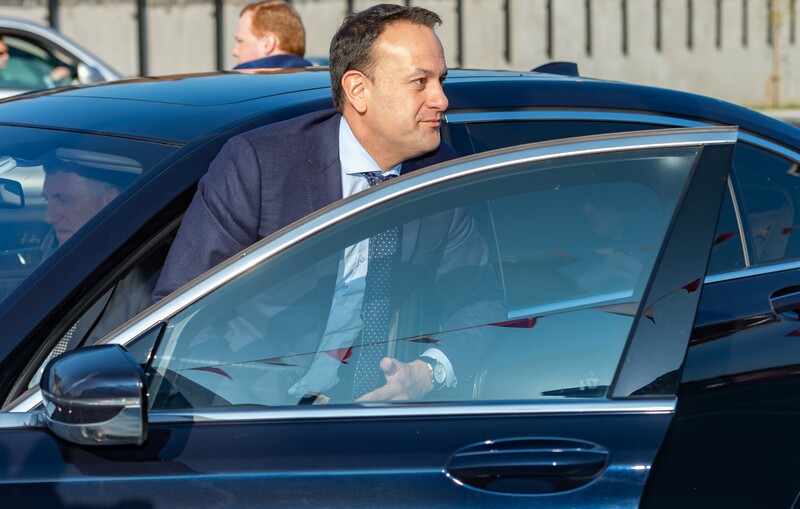 While the Fine Gael leader was in Ennis on Friday for the €6.5m opening of Scoil Chríost Rí, Cloughleigh, The Clare Echo was afforded a brief interview with the Taoiseach. When asked for his response on there being a hard border around Dublin and the lack of services in the county such as men and women whose lives hang in the balance enduring waits for ambulances and subsequent delays in being deployed to University Hospital Limerick as opposed to Ennis General Hospital, he responded. “I dispute that. For a start I’m here in Scoil Chriost Rí, a massive investment in a brand new school in Ennis. I’m about to go to Limerick where I will be at Edwards LifeScieneces where 600 jobs are being created, the newest emergency department in the country is in Limerick and there has been enormous investment in the university there, there was no university there twenty years ago and the IT. I understand that people often feel that but if you look at the facts, take Co Clare for example there is 10,000 more people living here than there were ten years ago, unemployment is down by more than half and there has been a lot of investments in schools. What I would like people to be doing instead of being envious of other county to actually talk about the kind of things they would like to see happen in theirs”. Despite investments at University Hospital Limerick, overcrowding peaked at a record 81 people on trolleys last Wednesday but Varadkar was instead keen to talk about how improvements have been made in other parts of the country. “It is a really serious issue and a really bad problem, it comes at a time when overcrowding in the country as a whole is at a five year low and a time when some other hospital groups overcrowding is a record low, part of the solution is doing what we’ve been doing already which is increasing the budget and staff for the hospital every year and that’s been happening every year for four or five years, more beds and development which has been happening, 23 extra beds with 60 beds under construction. 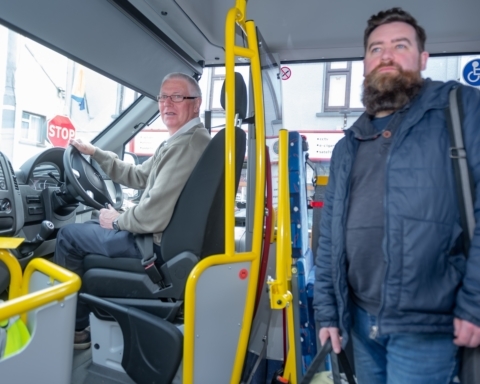 It should be perfectly clear to everyone that on its own that isn’t enough so you need to look at the wider health service in the region, maybe follow some of the examples that have been successful in other parts of the country like today for example there isn’t a single patient on a trolley in Letterkenny or Mullingar and a lot of that is better use of other hospitals like Nenagh and Ennis, much better use of primary care and making sure that once a patient gets into hospital they get their tests”. “Whether it’s a crisis or an emergency or whatever you want to call it that doesn’t provide a solution, people are great at naming and blaming things, I’m interested in solutions and that’s what people in the region are interested in too,” the forty year old added. When asked if such a solution would see an extension of opening hours at hospitals like Ennis and Nenagh, Varadkar was not dismissive of the notion. “Yes potentially, both good hospitals with good facilities so long as it’s appropriate and it’s the right sort of patient, one’s that need medical care and surgical care but not necessarily specialist care. There is definitely a case for expanding the MAU hours in both those hospitals. In doing things you have to be sure you can staff those hospitals adequately and safely, running anything 24 hours or extended hours can be a challenge and the last thing you want to do is reduce the quality and the standard. I do think it has to be part of the solution and more minor surgery, more outpatients being done in Ennis and Nenagh”.